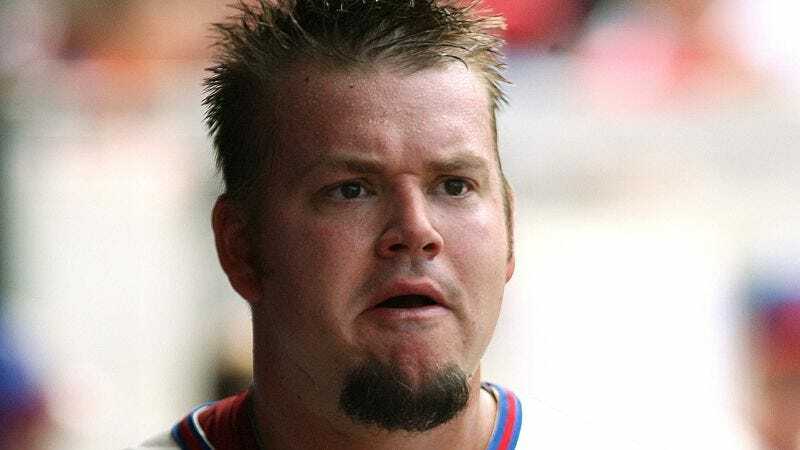 PHILADELPHIA—Team doctors expressed their concern about the future of Phillies pitcher Joe Blanton Tuesday after the goatee that has plagued him nearly his entire career once again flared up. "We've never seen it this bad," said team physician Steve Cohen, holding up a photo of the inflamed growth, which has reportedly swollen to twice its size since Blanton’s last checkup. "We've tried to warn Joe about this in the past, but now our fears about it spreading are being realized. At this point, we feel the only remaining solution is to cut it off entirely." As of press time, Blanton had just issued a statement saying he would seek a second opinion from a specialist.